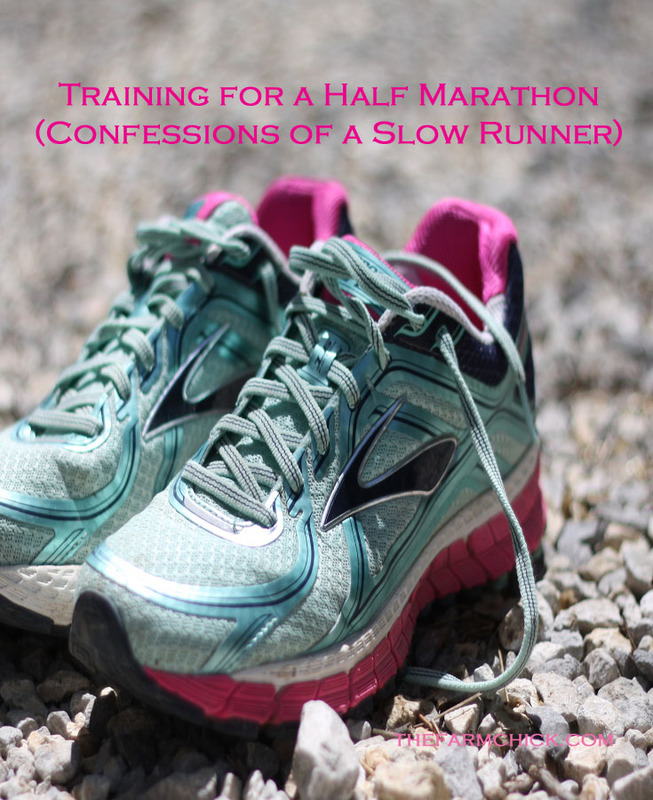 Ever think about training for and running a half marathon? Yeah, me neither 😉 My running career has been less than illustrious to say the least and I was positive I did NOT have it in me to run a half. But, as they say, never say never…. I could barely eke out the energy to complete the 5K and I was SLOW! Not the “Oh, I only run an 8 minute mile” slow (ha, ha), but the “I’m pushing it to get under 12 minutes a mile.” See, I tell ya, I truly am a slow runner! I also suffer from asthma (my childhood asthma came back with a vengeance a couple years ago), which I used as my excuse for not being able to run very well. It definitely contributes to it, but I’ve come to realize it is a surmountable obstacle. Enter January, 2017. My mom, who has been a fellow slow runner for the last 10 years, decided that for her upcoming 60th birthday in May, she would like to complete a half marathon. And it just so happens that there is one in Wichita at the beginning of May. You can guess where this is going… I offered to run it with her. We decided to run it using intervals. This is where we run 3 minutes and walk 1 minute. We also only do a long run every two weeks and then run 3 miles 3 times a week in between. It’s based on a method designed by Jeff Galloway. It’s suppose to be easier on your joints and allow anyone to run a half marathon- even if you’re like me and you can barely hack a 5K. So, since the first of January, this slow runner has been training. My last long run I did 9 miles! It was a bit brutal, but I completed it. Last Monday, I ran 6 miles and I noticed that my ankles and hip joints didn’t bother me at all! Previously, my joints would be pretty sore after a long run. I think I’m becoming conditioned to it. I seriously never thought I’d get this far in my running career! The moral of the story is, I encourage you to try hard things- like a being a slow runner tackling a half marathon! Don’t compare yourself to other runners (yeah, I know that can be hard!). The race is in 3 weeks, so I’ll keep you posted on how it goes. Are you a runner? Do you enjoy it? Any other tips for training for a half marathon?